Who was the best company in your childhood? 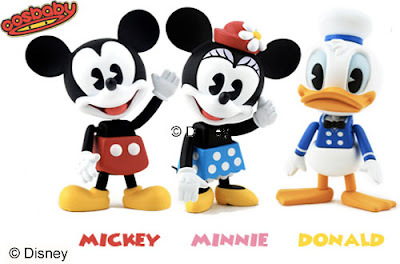 Mickey, Minnie, Donald, Goofy, Stitch, Pinocchio or all of them? Hot Toys is delighted to bring a team of desk-mates for you and your family! 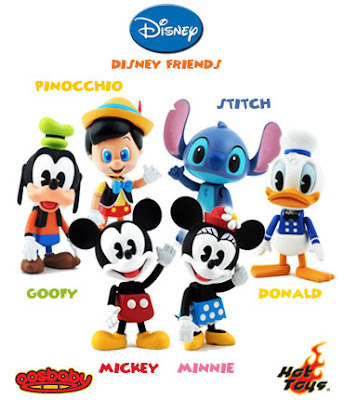 Totally SIX Disney classic characters reformed in Cosbaby are now waiting for your pick! 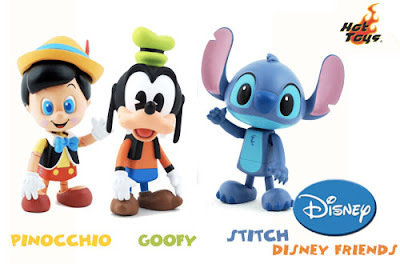 Disney Cosbaby line are 3 inch tall figures that features six of our favorite Disney icons and they are so cute as ever especially my fav character Stitch. According to Hot Toys in the Ani-Com 2009 event, this cute little fellas will be available on the market in last quarter of this year.